Walk where dinosaurs walk at the Dinosaur Ah-Torium Foundation dinosaur museum. The St. George Dinosaur Discovery Site at Johnson Farmhouses exceptionally well-preserved dinosaur tracks, fossil fish, and plants, rare dinosaur remains, invertebrates traces an important sedimentary structure. It is ranked by many paleontologists as one of the best of its kind. 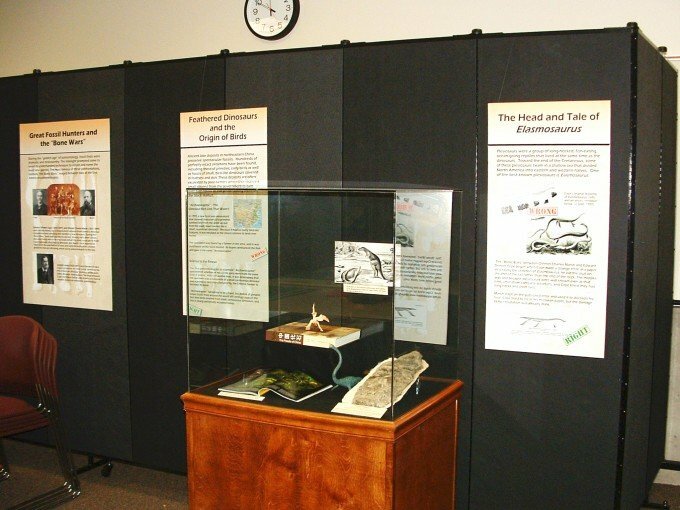 The dinosaur museum continues to grow and needed a way to display related information to its guests as well as to create privacy for classes and its workers. 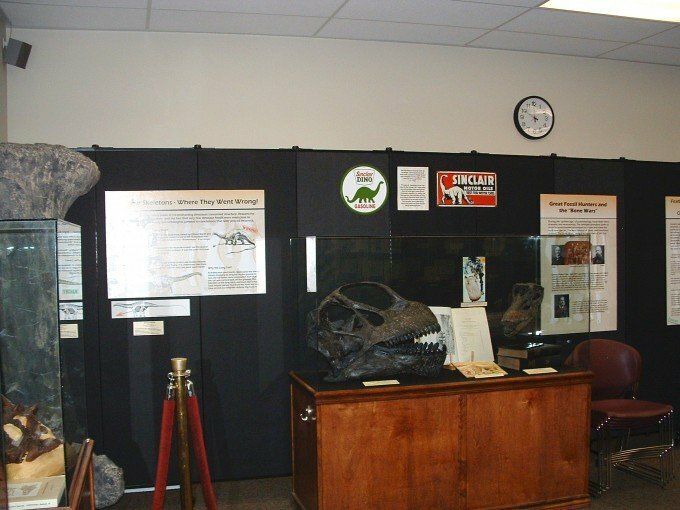 After searching for the right solution, St. George Dinosaur Discovery site chose Screenflex portable room dividers as a solution to its room dividing needs. Items are tacked pinned and stapled to the black fabric temporary walls. This makes it easy to change the information on the display wall. 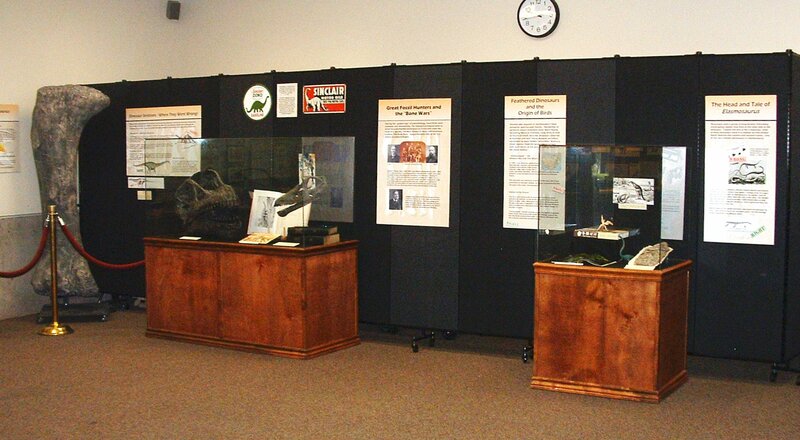 So easy to display, exhibit and show off anything and everything at your museum….with Screenflex Room Dividers!! !